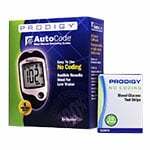 Prodigy AutoCode® requires No Coding; simply insert the test strip into the strip port and the Prodigy AutoCode® automatically powers on. 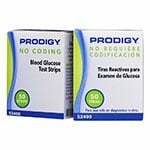 The Prodigy AutoCode® talks the user through the blood glucose testing steps and speaks in English, Spanish, French, and Arabic. 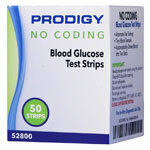 Prodigy AutoCode® requires No Coding; simply insert the test strip into the strip port and the Prodigy AutoCode® automatically powers on. 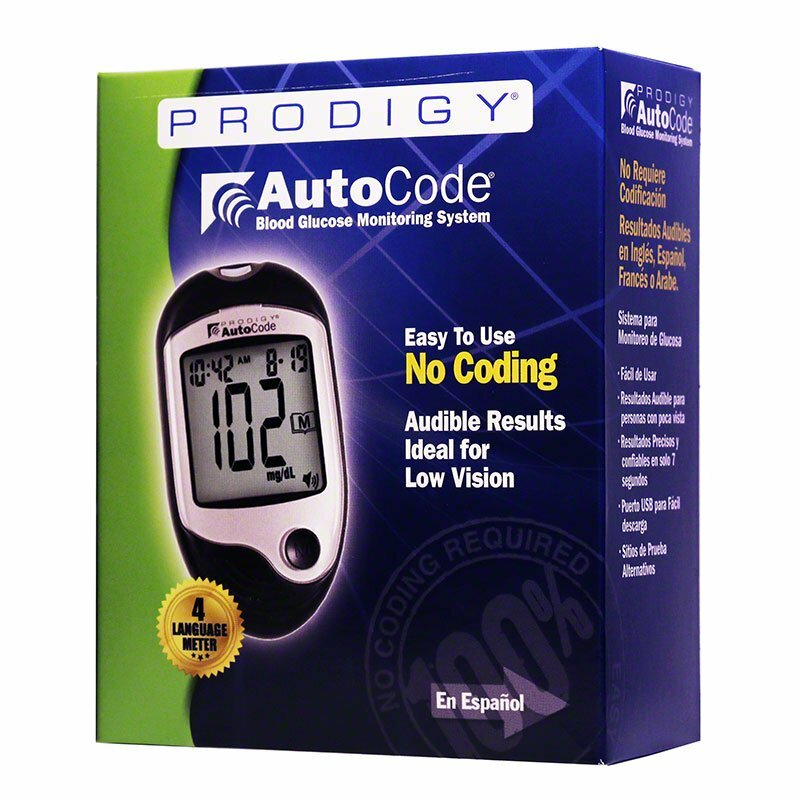 The Prodigy AutoCode® talks the user through the blood glucose testing steps and speaks in English, Spanish, French, and Arabic. It provides results in seven seconds, has a 450-test memory with date and time, and provides 7, 14, and 28 day averages. The USB port feature is present for downloading free web-based software. The Prodigy AutoCode® meter require a small blood sample, and are approved for alternate site testing. 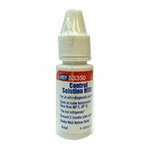 Speaks in 4 Languages: English, Spanish, French & Arabic (audible results ideal for low vision). Approved for Alternate Site Testing (AST); forearm, upper arm, thigh, calf, hand and finger.